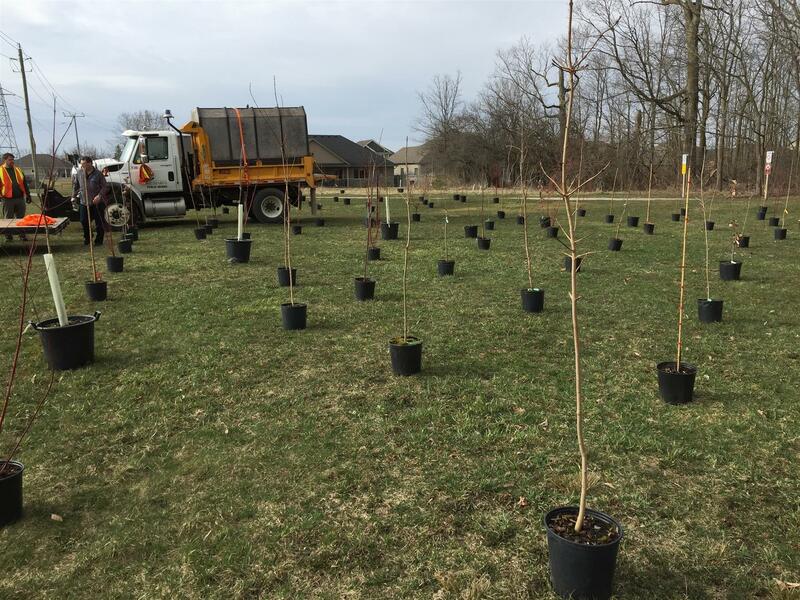 Authority and students from the local public schools, we planted approximately 150 native trees. Please also look at the photo album on the left side of our website. Sparling Bush has been a landmark feature in our town for many years. The property was originally donated to the town of St. Marys by Rotarian Herb Sparling. In subsequent years, it became a prime play space for many of the town’s children and youth. Initially it had one wooden sign designating it as a Rotary Project and had a map with numerous trails throughout the bush. During this time there was not much supervision of the bush and activities occurred all over the forest. Over the last several years, garlic mustard, an invasive weed species took over one large corner of the bush as well as several smaller plots. Additionally, some of the neighbouring property owners began encroaching into the bush to expand their yards. As they did this they introduced periwinkle and English Ivy into the park property and these have now become invasive problems as well. At this time it was necessary to decide if Sparling Bush was a park or naturalized area. The kinds of activities are very different within these designations. 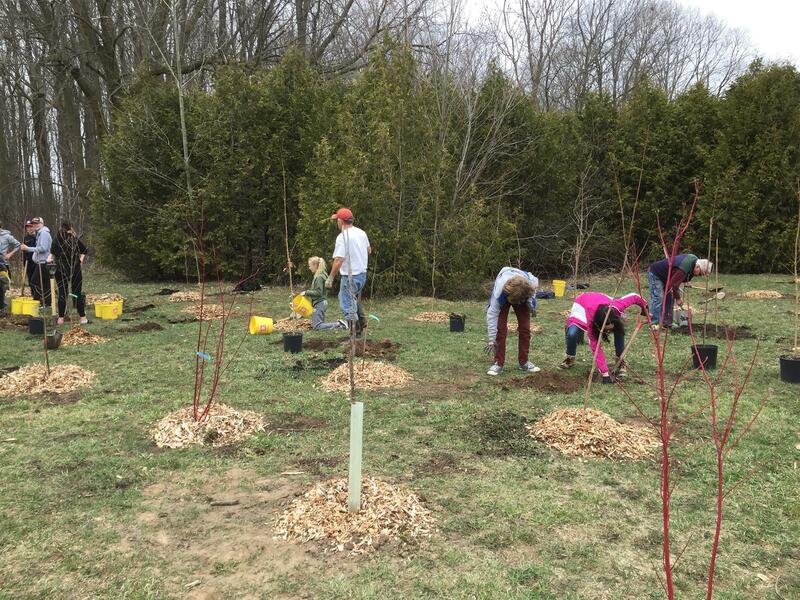 Three years or so, it became evident that our Rotary Club needed to do something to revitalize and conserve this natural woodland. At that time the Club began working with Upper Thames Conservation Authority, the Town of St. Marys and local schools. The decision made was to treat it as a naturalized area. These groups were very willing allies and subsequent plans and activities have made noticeable changes to the bush. An unintended but welcome by-product has been increasing interest and involvement from town residents who see the value in this native forest. The town has begun mulching and marking suitable trails to encourage walking in appropriate places. This allows most of the forest ﬂoor to evolve in natural ways. They have committed to obtaining a property survey to identify proper ownership lines and to work with neighbours to restore the entire bush area to a naturalized state. Upper Thames conducted a complete examination of the bush and provided the town and Rotary Club with a comprehensive report to guide our work over the next several years. Upper Thames also sourced the native trees that were planted this year and provided staff to assist with proper planting. Forest Schools and Outdoor Education have become a large focus for many of our town’s teachers. Teachers regularly take classes to the bush for part of their outdoor programme. 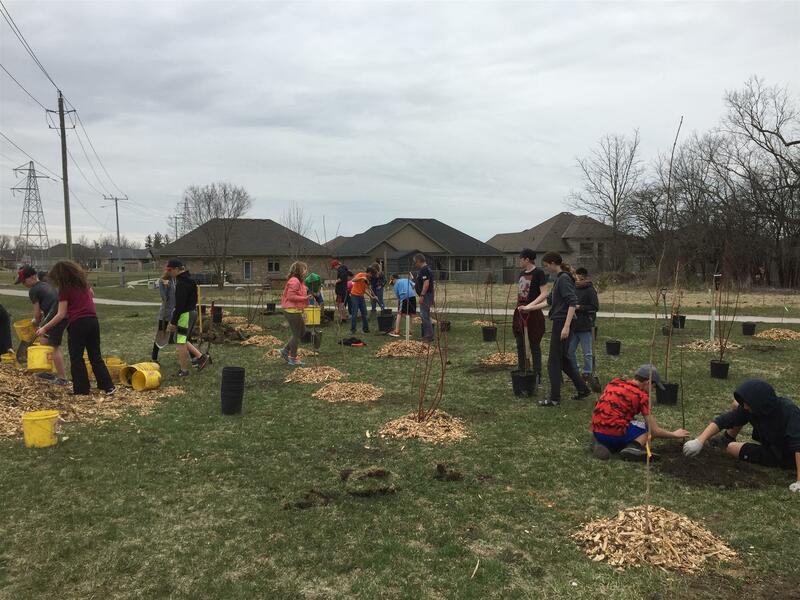 This year, two classes from grade eight attended our tree planting day and provided us with major assistance to plant the trees. Grade seven have volunteered to attend and help eradicate garlic mustard. The Rotary Club has coordinated all the activities. 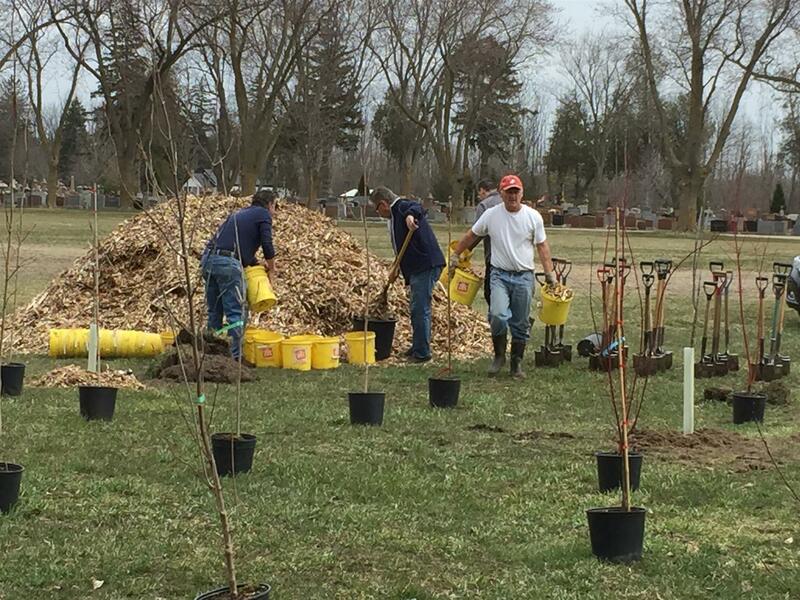 With ﬁnancial assistance from our local Club as well as Rotary District 6330, trees have been purchased and two new signs designating it as Sparling Bush and recognizing Rotary as a supporter have been obtained. The next phase will continuing efforts to get invasive species under control and work with our partners to develop an outdoor classroom in the bush. With this focus, we believe Sparling Bush will be an enhanced part of our town’s natural features.